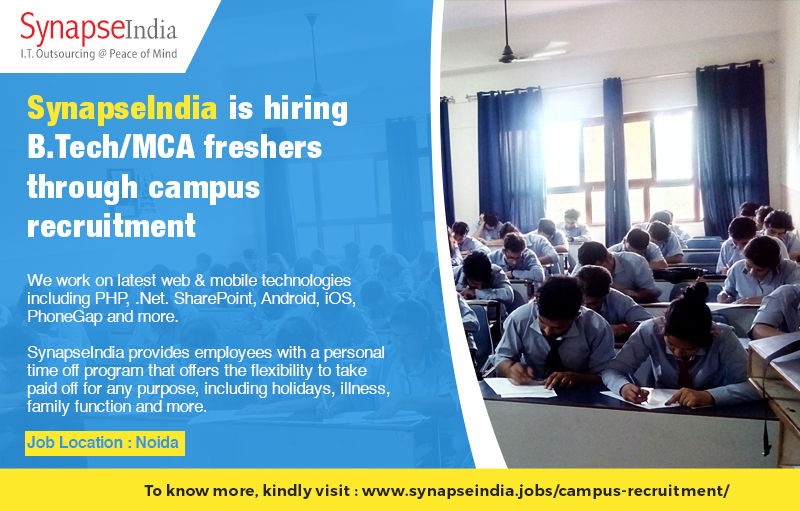 The SynapseIndia recruitment team is hiring for creative & dynamic B.Tech/MCA freshers to join at our Noida office. Founded in the year 2000 by Shamit Khemka, SynapseIndia works on latest web & mobile technologies, including PHP, .Net. SharePoint, Android, iOS, PhoneGap and more. SynapseIndia offers employees with the benefit of a personal time off program, that offers the flexibility to take paid off for any purpose, including holidays, illness, family function and more.